I blame Tricia Goyer for my initial love affair with Amish romance. The uncomplicated life of the Amish makes plot lines revolving around romance and family dynamics all the more enticing. These are the first novels I’ve read by Shelley Shepard Gray, but they won’t be my last. She said once in an interview that the reason she started writing books was that one day she didn’t have a book with her and she simply started to write a story she’d like to read. Well, I’d say she succeeded. She’s an excellent story teller. Click on the image below to enter to win her book pack giveaway! The characters are believable and likable. The story moves along with just enough energy to keep the reader comfortable and interested. This novel was a “feel good” story that made me want to curl up with a nice cup of hot tea. Since, I initially read the book in August and it was 90 degrees I resisted the urge. 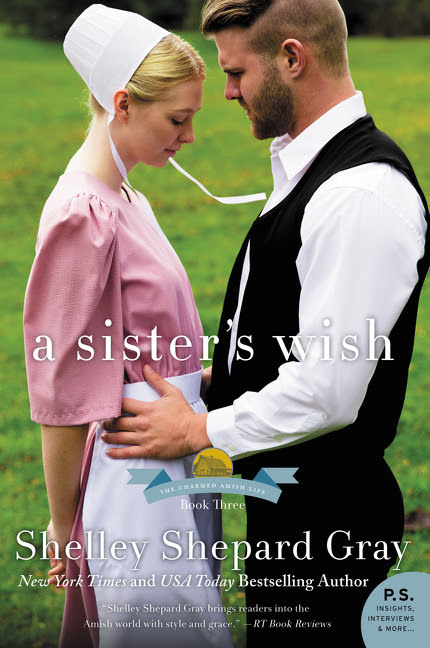 An excerpt for “An Amish Family Christmas” was included at the end of “A Sister’s Wish” and I immediately lost my heart to the main characters. I was so excited when the book arrived for my review, I read the entire thing in a day! 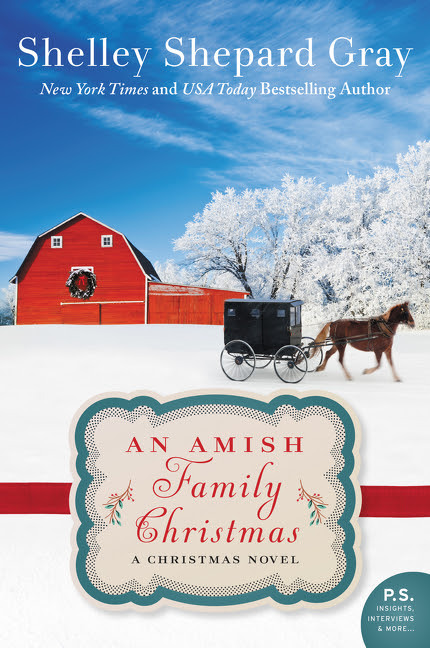 “An Amish Family Christmas” is the best book of the series and well worth taking the time to read. This book is a perfect holiday treat and would pair wonderfully with an nice cup of hot chocolate. Grab a copy, you’re totally going to get sucked in! If you read this book, drop me a line and let me know what you think! Don’t forget to enter to win a book pack giveaway from Shelley Shepard Gray. Five readers will win!